Music is the best sound effects that mould our lives. If you are planning to invest in a home theatre or high-end audio system, you should ask yourself certain questions. What is your budget? How much to invest? How much you should spend as minimum cost to experience a good tune? Is it possible to get a decent sound quality by spending more than minimum? Well, these are some questions that would have remained as doubts in your mind.There are several good home theatre installation services in Chennai who deal with high-end audio systems. There will be a music fan in every house. They also wish to listen to popular albums and tracks of famous artists just like they hear in a recording studio. Everyone would love to hear great sound with exceptional quality and it is the reason they mention themselves as a passionate music lover. 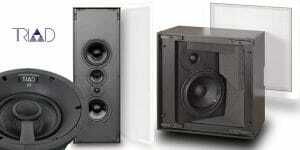 It is possible to get high-quality sound in top end audio systems. It has been popular for the last five decades. There have always been certain common misconceptions in people’s mind regarding home theatre or high-end sound systems. 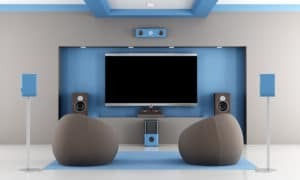 In this blog, let us discuss the common ones which will help you to avoid making certain common mistakes while purchasing a home theatre system. It is a most common misconception regarding sound systems. Most people have a thought that high-end systems only differ in gearheads after studying the specifications behind speakers, cables, and amplifiers. It is necessary to note that high-end systems are completely designed to offer excellent sound quality and it is not restricted to a small club. It is best for anyone who enjoys and loves music. Due to this common myth, there have been two wrong outcomes. In most countries, people think a lot to invest in a high-end music system as the price of the amplifiers and speakers would be highly expensive. They would wonder why to invest double or triple of price of normal system for purchasing the high-end sound system. It is best to check with various dealers instead of checking with a single dealer. It is not right to select your system according to the price. You should look for quality of the sound system. When you work with a good home audio solutions professional, they would test various components and consider your house set-up to find the best home theatre system. It is hard for a normal person to consider the components and purchase. The experts have a lot of knowledge and idea about each and every component and help in suggesting the best one for your house. When you have decided to purchase the latest music system that has arrived recently to the market, you have to ensure that model is latest with optimal compatibility. It does not mean that you need to eliminate music systems that were functioning in the past. The source components are important and they will not get old even when new systems keep entering the market. If you own a vintage turntable which you were using for decades, you can add it to your latest system. It is hard to eliminate a music system which you would have grown listening to it. It is best to enhance and improve the existing sound system with new speakers and amplifiers. One of the important features of the audio systems is subwoofers. Along with the traditional 2-channel device, the subwoofer plays an important part. It is sure you can enjoy an excellent listening experience with better bass. Some people face problem while installing amps, preamps with right subwoofer. They would experience technical difficulties. In such a scenario, you can get in touch with AV technicians or professional home theatre installation specialists. The professionals would help you in setting up a high-end stereo system, customized sound bar, set up home theatre system wherever you require in your home and dedicated set up with best soundproof and acoustic treatment. They would not only help you to set up in houses but also for hotels, pubs, restaurants, and resto-bars. If you have finalized or thinking to purchase a home theatre system, ensure to consult a professional before purchasing or installation.